Can this popular herb prevent Parkinson's? I have been saying for years that the best treatment for any disease is not to get it. So what about Parkinson's disease? Is there anything that might be able to prevent it? 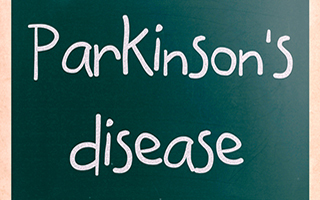 I have patients regularly come to me with concerns about getting Parkinson's because one of their parents has the problem. Also, recently I reported to you that people who have hand or head tremors as they get older have a much greater chance of getting Parkinson's than people who don't have the tremors. So what can they do? A recent experiment suggests that there may be a way to prevent this disease and others using one of the most common herbal remedies. Like many neurological diseases, Parkinson's is the result of proteins in the nerve cells sticking together and clumping. This clumping process is referred to as aggregation. So is there a way to prevent this protein aggregation? Researchers looked at the effect of the herb curcumin on a special protein called alpha-synuclein. Alpha-synuclein is a protein that is particularly prone to aggregation. The researchers put some curcumin into a culture plate with alpha-synuclein and then heated the mixture up. The reason for the heat is that heat is one thing that will trigger the alpha-synuclein into aggregation. Happily enough, the curcumin completely stopped any sign of aggregation. According to Lisa Lapidus who co-authored the paper, "Our research shows that curcumin can rescue proteins from aggregation, the first steps of many debilitating diseases.... More specifically, curcumin binds strongly to alpha-synuclein and prevents aggregation at body temperatures." So does this mean that taking curcumin will prevent Parkinson's or other neurological diseases? We don't know. This experiment was done in a culture plate. There is a world of difference between what happens in a test tube and what actually happens in the body. But here's the thing. There are so many other reasons to take curcumin that even if it didn't prevent Parkinson's it would well be worth it. Here's a list. Curcumin is anti-inflammatory. It also boosts brain-derived neurotrophic factor which improves memory and brain function as we age. 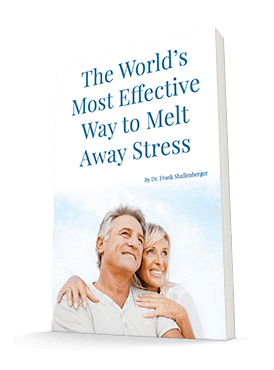 It is a potent stimulator of the antioxidant systems. In some studies, it improved cardiovascular endothelial function as much as exercise and statin drugs. And it can prevent and even treat cancer. I think the best form of curcumin to buy is the turmeric phytosome curcumin Meriva extract. I would suggest taking two 500 mg capsules a day for all the reasons mentioned above. Also, curcumin is in the herb turmeric which is commonly used in all kinds of recipes, especially curries. So feel free to curry up your meals as much as possible. It tastes great and is good for you at the same time. Ahmad B, Lapidus LJ. Curcumin prevents aggregation in α-synuclein by increasing reconfiguration rate. J Biol Chem. 2012 Mar 16;287(12):9193-9.